Among the few fortunate devotees, who came to Swami in the early years of His avatharhood, Mr Raja Reddy is exceptional. He was one of the most privileged who came to Bhagavan as a teenager and continued to stay in the Divine Presence enjoying His blissful divine proximity for nearly three decades. A sincere spiritual aspirant right from his childhood, the story of His encounters with ‘The Eternal’ is most fascinating. We had an enthusiastic Sai worker go over to his home in Mumbai to interview him and below is the transcript of the first part of that conversation. 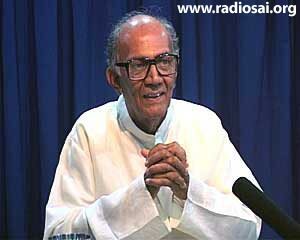 Q: Sairam, Mr. Raja Reddy. 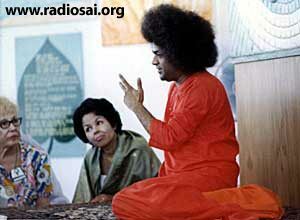 To begin with, please tell us how you came to know of Swami and how the relationship with Him blossomed? And how was Swami in those days? 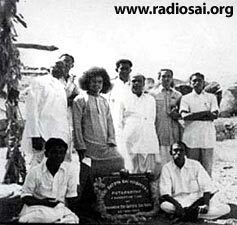 RR: Sairam. Originally I was a devotee of Sri Ramakrishna Paramahamsa (an enlightened soul). From my early days, I was almost a hero-worshipper of Swami Vivekananda and I loved Sri Ramakrishna who had a resemblance to Swami Vivekananda. Sri Ramakrishna, you may be aware, had very little respect for miracles. In fact, he went to the extent to say: “Do not visit miracle-men.” That was the background I was coming from. But my mother used to go to Bhagavan much earlier, in the early fifties. Then, I was a student studying in the Loyola College, Madras. I was advised by my mother to go and have a Darshan of Bhagavan. He was then a guest of one Mr. Hanumantha Rao, who was a Transport Commissioner in Madras. It was the first time that I had the good fortune of coming into physical contact with Bhagavan. Q: So, he gave you a question instead? RR: Yes, and answered it indirectly! It was brief but it was a very loving speech and I was very impressed by that; that’s how that chapter of the first meeting closed. After that I went to college to do my studies. Q: Where were you studying? Q: What was the course that you studied? RR: I studied there for about five years and I had taken Economics Honors. It was a very disciplined and good college. Q: So when was your next interaction with Swami? RR: My next interaction was later on, October 4, 1956. That was when the first Hospital in Puttaparthi, the General Hospital, was opened. It was opened by the then Chief Minister of Andhra Pradesh, Mr. Bezawada Gopala Reddy. And I was present there on that occasion. Prior to that I had finished my studies and was totally absorbed in my sadhana (spiritual practice). Because spiritually, I am sort of an incorrigible introvert – that’s what I would say of myself! I used to have my own meditation, my bhajans, my yoga sessions and things like that. Q: Did He call you for an interview? Q: So what was His answer? RR: You know, He is not given to giving direct answers! He just pointed to a light in the room with His hand. He said: “This is the hand; this is the shadow of the hand on the wall. There is no such realization.” What He meant to say is: “I am the Original! You’re the shadow; there is nothing to realize for Me! You have to realize!” That’s how it was. I had to read in between the lines. And then of course, I was totally absorbed by Him – it was just irresistible! His power was something else! And I became His regular follower. Q: Did He call you again? Did you go back again to Parthi after that? RR: Yes! After that I went home but then I returned and settled down with Bhagavan, because I was in search of a Sadguru, a spiritual master. 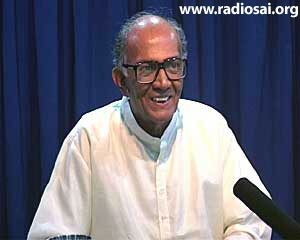 During this time, I was drawn by Swami Shivanandaji from Hrishikesh too, who is no more. He passed away many years ago. 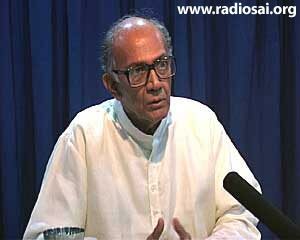 Q: Is he the one from the famous Shivananda Ashram? RR: Yes. He was then alive and I had half a mind to go there and take sanyasa (become a renunciant) or that sort of a thing. So with that background, Bhagavan absorbed me; gradually he put me in bhajans and in driving His car and looking to His various duties; getting His bath ready and His bed, and so many other opportunities! He has been immensely graceful to me – giving me all those chances to do seva, and so it went on. But of course, I had been a skeptic in my own way – not easily giving into everything; because at that time, at the back of my head, I always had Sri Ramakrishna’s influence on my mind (to not believe in miracle-men). So much so that at one time, knowing my doubting mind, Swami revealed Himself. It was in Ooty and Baba was relaxing on a cot; only we two were there in the room. Baba said: “If you are a devotee of Vishnu, you will see the parama-jyoti (Supreme light) coming from My heart; if you are a devotee of Shiva, you will see it from My forehead – where the third eye or the Jnana netra (eye of wisdom) is located.” I, of course, saw a jyoti (Divine light) in the heart area, as I have been a devotee of Lord Krishna right from the very beginning. Q: Did that have any change in your outlook? RR: Not a change exactly, I told you I am a born skeptic! I wouldn’t yield that easily; I have an ego too! As I told you we were in Ooty at that time and after Baba went out of the room, I took His torch which He had kept under the rug. I thought: ‘Will it give me the same effect? Let me try it!’ Immediately Baba caught me red-handed! He came inside and said: “What shall I do to make you believe?” He Himself was at a loss, so to say! Q: So He caught you red-handed with the torch! RR: Silly fellows that we are! You know how ego comes into play and you get all sorts of doubts! But it’s better to get rid of all this to start with. Q: You could see a jyoti in His heart; which is a very unusual thing. RR: I did have Darshan of the jyoti, no doubt; but I must tell you the fact that I had doubts too! Q: As you went along, were these doubts getting cleared? RR: Yes! He was very gracious to me. I used to sleep on the floor and He used to sleep on the cot. Early in the morning I used to meditate and I had some wonderful experiences! Like the kundalini (spiritual energy within envisioned as a coiled serpent) rising and waves and waves of bliss being experienced! Also, I used to see flood-lights during meditation. I can’t explain, but they had a wonderful, pleasant effect. As I told you, I was an incorrigible introvert - even until now! I don’t know if you have seen the old Mandir; Bhagavan’s bed was in one room and then next to it, are His shelves where we used to keep His things, and then there was the bathroom. So I used to sleep there near the shelves, and Baba was in the other room on the bed. All of a sudden something happened; it was like half of the Sun’s circumference was falling on me! It was an incredibly huge light coming! It was rather shocking. That was a great experience; it didn’t last long enough to shatter me off but then I had the shock enough! Of course, Baba was behind all this but He used to pretend He didn’t know anything. Once I had a difference of opinion with Baba – you know ego coming out! We were stationed in Bangalore - in one devotees’ place. And I took it so much to heart that I thought I must back off! And in fact, I did back off. I took a 3 hour bus journey to return to my home. When I reached, I saw Baba sitting quietly on the bed, writing a letter to me! Q: Writing a letter to you? Q: So it was sort of an ego-breaker experience? RR: Yes and the hridaya-vasi realization, that He knows absolutely everything; it was something fantastic! And you know all the rest of it – whenever a thought rises in the mind of any one of the devotees sitting there, it at once gets registered there in Baba’s Solar Consciousness; so much so that He reacts immediately! Q: You had that sort of an experience? RR: It has happened umpteen times! So much so that it has become a common place. Q: Everybody working under the rich person can get influenced. RR: Yes, and not only that, so many people will be benefited if one at the helm is corrected. Naturally, His heart goes out to other people also; so they also stand to benefit. So, instead of catching every small ant, catch hold of the queen ant! That’s what Baba is doing; and that’s what Swami Vivekananda used to do too. I had some doubt regarding Baba’s ways and I was thinking about it but I did not express my thought. That’s how it happens when His physical Form is present there, immediately those thoughts come. If you were there as a third person, you wouldn’t understand anything at all. That is why in Baba’s discourses too – many that I have heard, not recently, but in the earlier days - there used to be a lot of ‘loss of linkage’ so to say, between one statement and the other. Because as and when doubts used to arise in the minds of the audience, He used to stop whatever He was explaining and answer them then and there. So naturally, sometimes that correlation used to be missing. Q: The other person might feel that this is not coherent; but actually it is. RR: It is! See, actually He has come for jiva’s (individual’s) sake; and not for publicity or any adulatory nonsense! That’s how He operates – it’s something wonderful! Q: You had the privilege of being with Baba that other people can only dream about. So please tell us more – how His routine used to be in those days and how He used to interact with other people? RR: Even during informal conversations, Bhagavan, in those days, used to allow devotees or people who had come there to express their doubts and He used to clarify their doubts immediately. At the same time, He would give them direct experiences too, which are known to some of us. One thing I have noticed in Bhagavan - while in contact with individuals, He always treats an individual as an individual; He is not enamoured of crowds. He wants to give instructions to every individual where He corrects them Himself and He develops them, for He has intense interest in the evolution of the individual. That’s something very remarkable of Bhagavan! Q: He would like to instruct an individual singularly to evolve higher. RR: Absolutely; and correct him too! For instance, there used to be one Mr. Jawa from Joy Ice-cream; he was the proprietor of the company. Before coming to Bhagavan, he was very well-off financially. In those days, Joy Ice-cream was very popular in Bombay too – like Kwality Ice-cream now. And before coming to Bhagavan, He was used to taking alcoholic drinks. So much so that even small children in his family used to take to it, just for fun; this practice was so much impregnated in his family. He came to Bhagavan when He was staying in Gwalior Palace, Mumbai, which is, of course, now demolished. So there, when He was in Baba’s presence for the first time, Baba said, “Hello, Jawa!” and that’s it, there was some inner transformation in him and he threw his drinking habit into the fire instantaneously. Therefore, Bhagavan takes particular interest in the development of an individual, come what may; but at the same time not hurting the individual. As if He has been his friend right from his birth! Q: How about Mr. Jawa's family? RR: They too have had beautiful transformations. And Baba gives an inner strength. It’s not easy to be an addict of liquor and leave it overnight! Take the case of my own cousin, Shiva Reddy. He is a dental surgeon and his wife, who is my niece, is also a lady doctor. 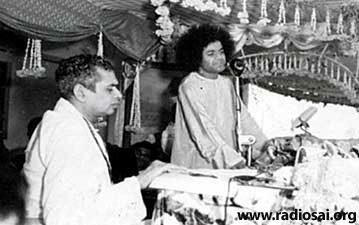 Both of them are now retired and stay in Prasanthi Nilayam ashram. He had a habit of smoking and used to have his practice in Nigeria then. He says, “One fine morning Baba comes in my dream and gives me padanamaskar (privilege to touch His feet). And I said, ‘I will leave smoking.’” So it happened just like that. Baba came in his dream, gave him padanamskar and he left smoking altogether! This is how Baba enters into an individual, into the depths, because He is antharayamin (the indweller)! He is not satisfied with your show or other things – no! He goes straight right into the core. It’s so wonderful! That’s why Bhagavan can converse with anybody; He needs no intermediary, no introduction.